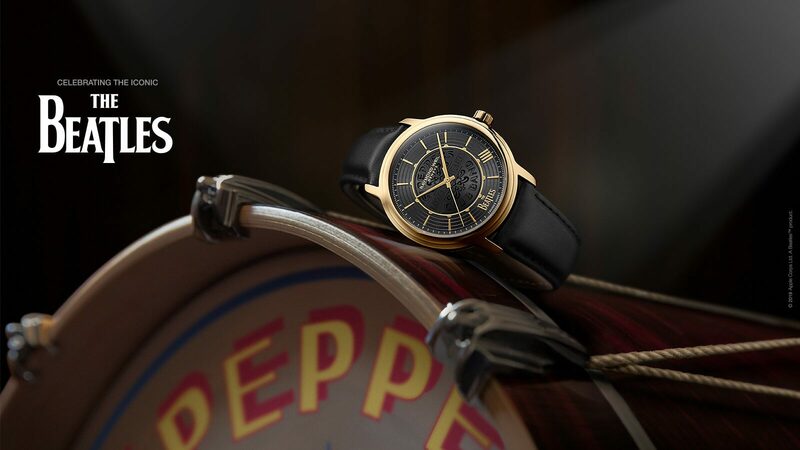 This delicate two-tone model in yellow gold PVD plated and stainless steel, featuring a 32mm case and subtly crafted mother-of-pearl dial. Lose yourself in the ever-changing reflections of the 62 full-cut 0.35 carat diamond-studded dial. Its finishing touch is a crown sheltered by a layer of midnight blue lacquer. 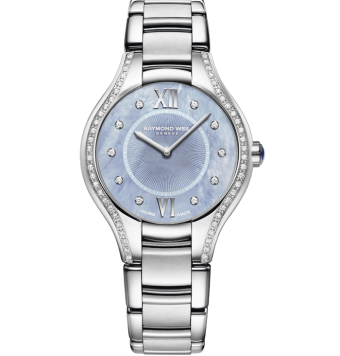 Named after the granddaughter of Mr. Raymond Weil, the noemia collection captures an elegance and timeless style with a touch of contemporary. 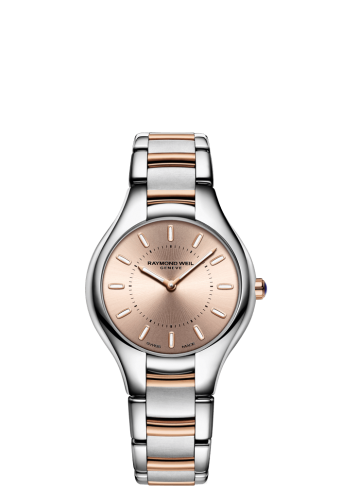 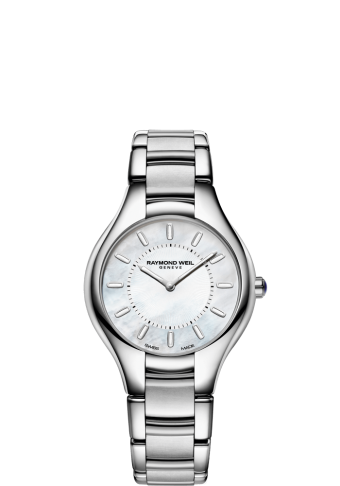 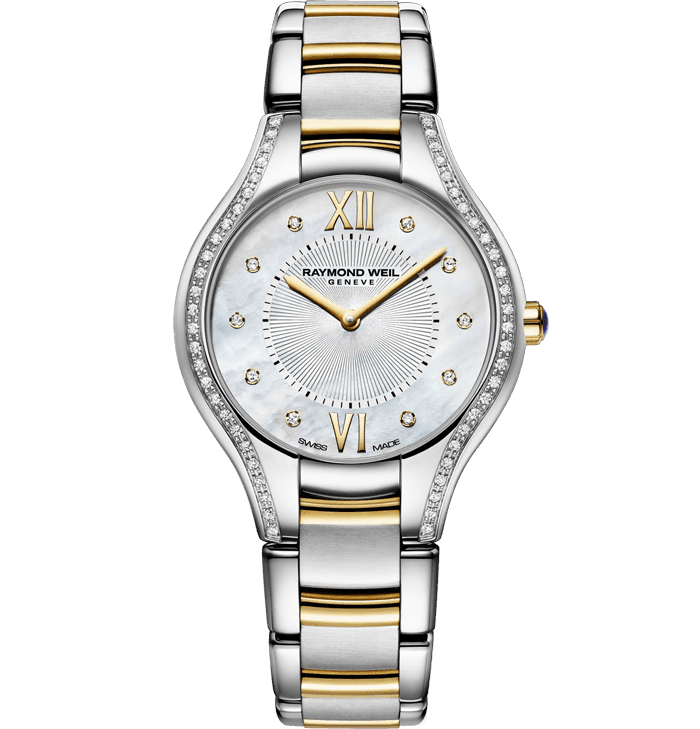 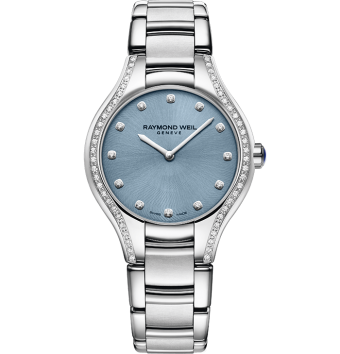 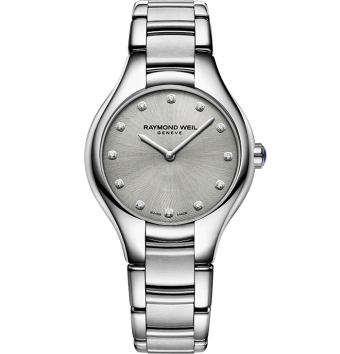 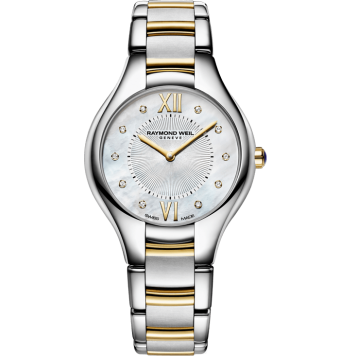 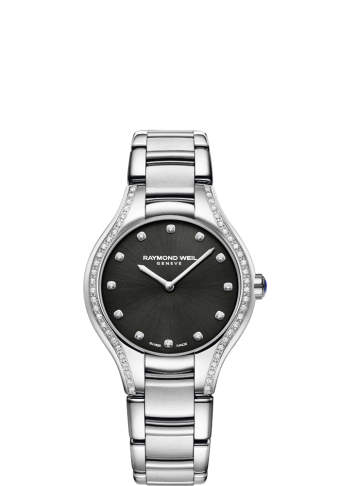 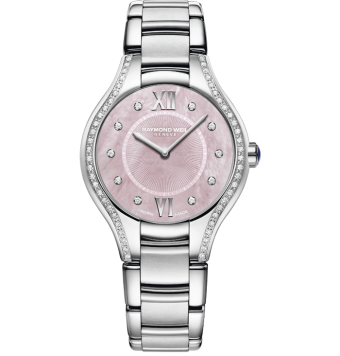 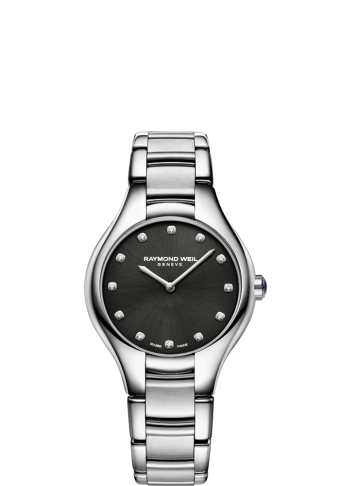 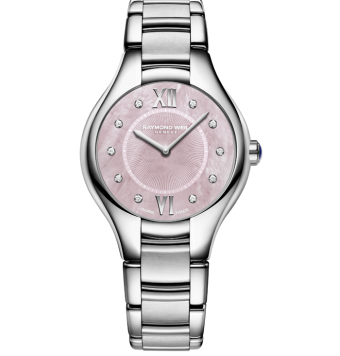 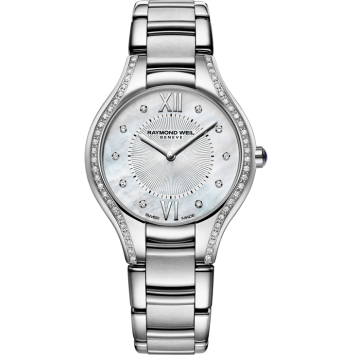 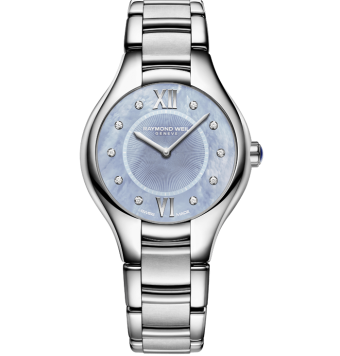 This feminine timepiece fitted with a quartz movement, is available in 24, 32 or 36mm case to accommodate all wrist sizes. 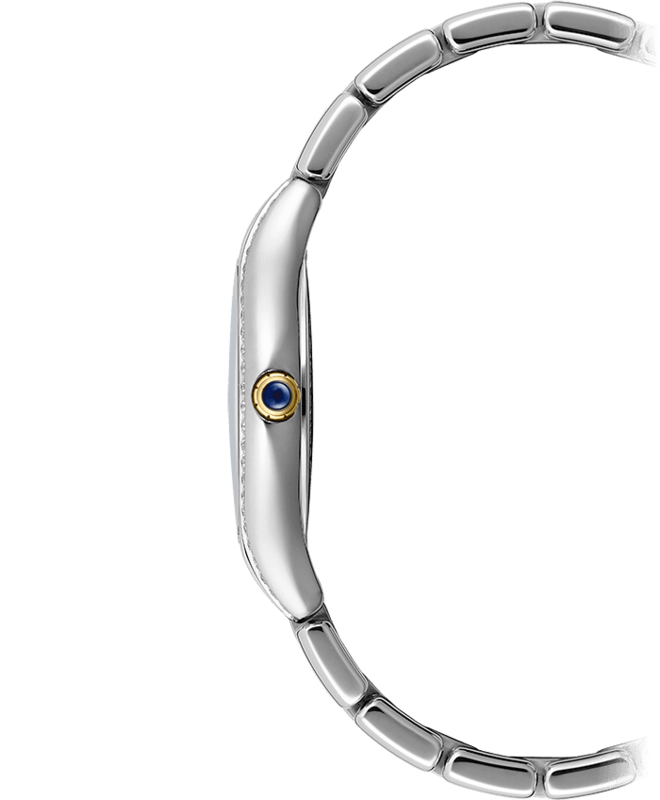 The gracefully formed horns of the bezel merge with the sleek stainless steel bracelet which includes polished and satin-finish links and display curved and rounded contours. 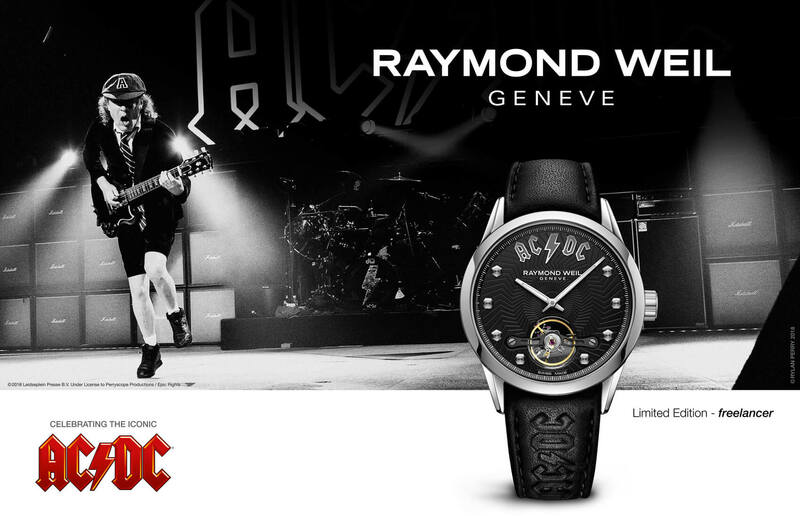 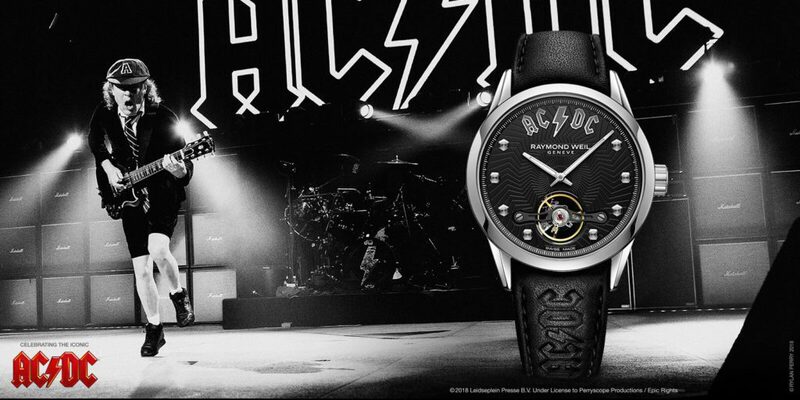 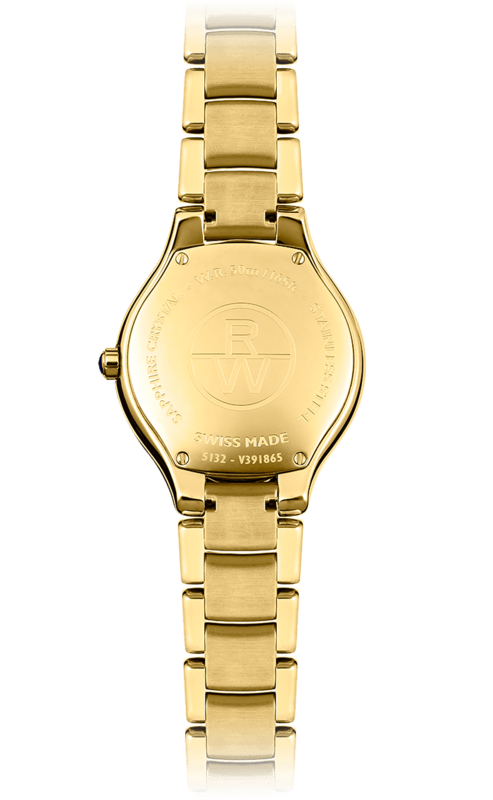 This watch is great for everyday wear or special occasions and will impress a woman who appreciates beauty.